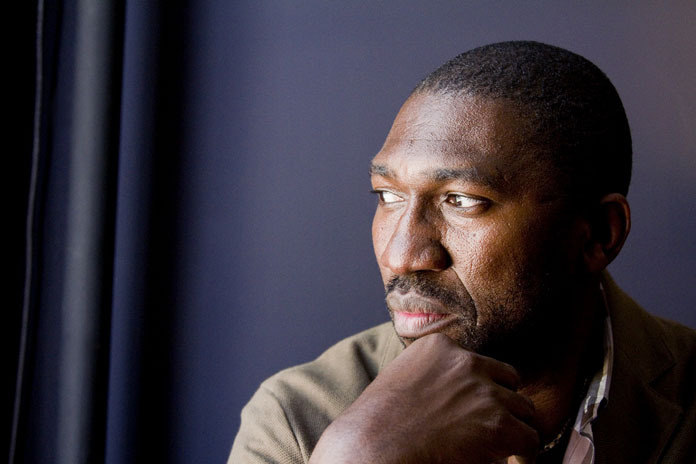 A conversation with Kwame Kwei-Armah, the new Artistic Director at Center Stage. 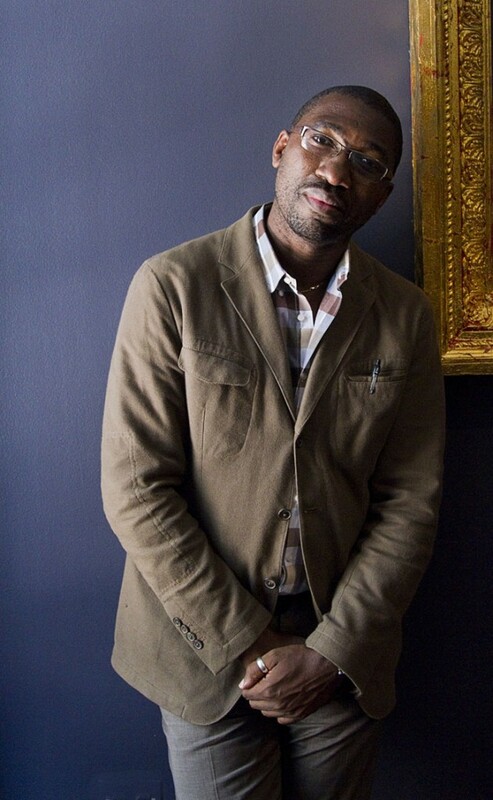 Kwame Kwei-Armah is a man of interesting contradictions. He’s accomplished, ambitious, and humble. He’s political, strategic and authentic. He’s a great listener and never runs out of exciting things to say about theater arts and his vision for Center Stage. Is vision enough? No. Kwame is also wise and knows that belief is the power that makes things happen. Theater is a belief system. An actor believes that he or she can become anyone. The audience believes that the actor believes they are someone else. Belief is where the transformative power of theater lies. If Kwame Kwei-Armah can create an institutional belief system to go with his vision, we are all in for a good time. What makes him good for theater is his considerable talent and expansive worldview. What makes him great for Center Stage is that he genuinely wants to link his art to service. What makes him perfect for Baltimore is his bring-no-baggage unconditional love for it. I recently had an opportunity to sit down and speak with him and this is what came out of it. Where did the spark to become the Artistic Director of a regional theater come from? Was it something you’ve always wanted to do or was it the Center Stage (CS) opportunity that excited you? It was never on my career map to be an artistic director. There were a couple of things. I began, actually, as a musician. Within the theatrical arts I started as an actor. I got fed up of complaining that there were so few parts for black actors in Britain that told the kind of stories that I wanted it to tell. So I became a writer to be able to tell those stories. So, I could stop complaining and do. When did you realize you might actually get the job? I was a zealot when I heard about the job. From that point on I felt my chances diminishing with each interview. Was it your skills or vision that made you believe you could do the job? My raison d’etre is to increase the steeples of this palace of entertainment and make it feel confident in itself both as a national, local, and international playhouse. That’s my ambition. One, I love Baltimore. I’ve been coming here for 5 or 6 years. They’re (CS) producing my plays and introducing me to directing by allowing me to direct my first play. I have a lot of love for this theater. Two, I am also slightly driven by a civic dimension which is to elevate our international reputation. It is currently based on The Wire. The perception is when you get off a plane you’ll get shot or your veins filled with heroin. I’m slightly outraged by that. I know how cultured it is here. I want to contribute to making this theater a flag for Baltimore. Storytelling has been a leadership tool since the dawn of humankind. Christ used parables, Gandhi changed the context of the British occupation, MLK had a dream for children, and JFK issued a bold and inspiring declarative statement to put a man on the moon. How does storytelling fit into your leadership style? I’ve always had this motto over my desk…Be of service to and through my art form. Now, as leader of an institution, I truly believe in a kind of collegial style. I want to run this wonderful theater, not as a frustrated stage director, someone coming in and trying to emulate that. But as a stage artist, someone who’s acted, someone who has done all the gigs front and back. I’m not sure how history will define the narrative, but I certainly want to have the legacy of, he came because he wished to serve, and he did serve. The success of that, well, others will decide. But that’s the narrative, how have I served to raise the steeples of this institution? I liked that question very much. I liked your answer to it a lot. Irene Lewis brought me in. I am continuity. From the boldness of some of her programming, and the boldness of the board and what this community will accept from the theater, I am continuity. How does a regional theater, a mighty institution prove what it cares about? By using its power in the best possible way. For instance, theater is a catalyst for debate. I want this powerful regional center to not just catalyze debate about the trivial, but about the things that it cares about in the community as well. Not to just talk about the minds of the writers and directors that come through here. I want them to start a debate and a conversation that looks at, becomes a reflector. What happens is if you hold up a mirror to society it will look at itself and say, “Do I like what I see?” If it doesn’t like what it sees it will then try to do something about it. One hopes. That’s how I think we show that we care is the work we put on here and the way that it serves the national, local, and international spirit. It’s about creating seasons that says to a community let’s take this to a higher place. Do you have a project on the horizon that, when realized, stakes your claim to the experience CS offers Baltimore? I have two projects. If I can put these two together, then if I get them to do what they’ll do, I think it will be very clear what my aim, what my intention is, and where I see CS in the regional and national debate. Something for all of us to look forward to. I hope so. If I don’t get it together this year, then next year. Does the scale of CS make it difficult for you, as leader, to create a culture and belief-system that help drive your vision? My job before this was Artistic Director of the World Festival of Black Arts and Culture, in Senegal. 60 countries and 5,000 artists, and I had 4½ months to take that from zero to a world class festival. I don’t perceive the scale of CS to be unwieldy or too big of a challenge. The staff here at CS has been brilliant. If I can give leadership and vision and can communicate it and let people know what matters and my style…if they enjoy it and share it, they’ll get behind it. I’ve been here 4 weeks and have spoken to all of my staff. Walked them through every part of the theater so they can see what I see. Yes. People know where I’m headed, as I’ve hit the ground running. Everyone has been marvelously supportive. It’s an open house here where the best ideas can come from the cleaner or the associate artistic director. This is the way I wish to run the institution. This is the administrative side of me—what’s important is to continually make sure that vision is being communicated at all times. The artist side of me makes sure that I am feeding the artist in me, by the conversations I’m having and the plays that I want to dissect. -to guide and refresh you. My intention certainly is to be as communicative of my vision as possible. And to make that vision—not an outside vision—but to make it a vision that wishes to serve. Thanks for your time and thoughtful answers. The thoughtfulness was in the questions.